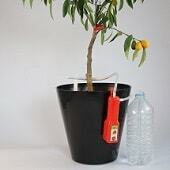 Rigavit is a very compact, easy to use, simple, battery powered, automatic plant watering device that waters your plants while you are busy or on a vacation. It is a automatic indoor plant irrigation system. It automatically waters your indoor potted plants. Fits to all kind of pots. It is a automatic indoor plant irrigation system. 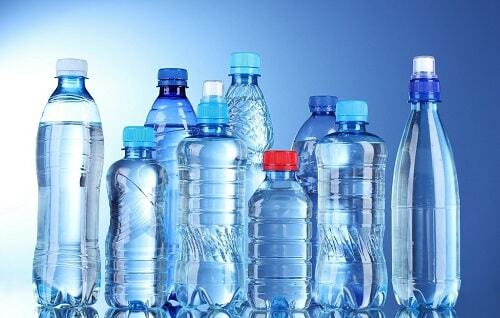 Place 1 hose to your pot, and other hose to bottle. 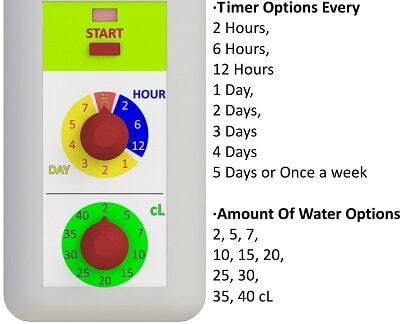 Set amount of water and timer from buttons on device. Press "Start" Button. That is it. Avoids extreme watering if two person are unaware of each other. Works only with 4 AA battery which will work about 3-6 months depending on your interval. With 1 device and 1 bottle you could water up to 3 plants. Bendable nozzle ensures you water necessary area on pot. White, Red, Yellow, Green, Black colors. 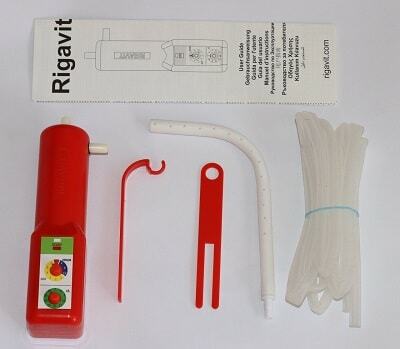 Rigavit automatic plant watering device, comes with bendable silicone nozzle, it is 9 mm diameter, 15 cm length, a state of the art., it has 14 angled holes. 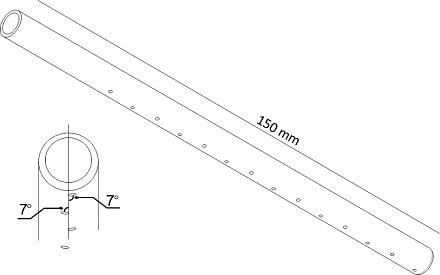 With angles, how high you mount, it will water bigger area. When watering the plants, the biggest trick is to penetrate water to a larger surface of your plant. Watering only 1 spot will not make your flower very happy. 15 cm long bendable silicone nozzle will reach a larger surface of your flower. This silicone nozzle has 14 watering holes and you can adjust it's shape easily for your convenience. You can use Rigavit automatic plant watering device with or without nozzle. 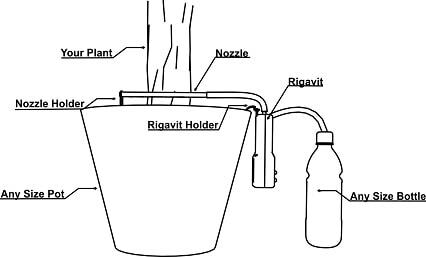 Why Should I Use Rigavit Automatic Plant Watering Device ? Indoor Automatic Plant Watering Device waters your plants, flowers on time with exact amount you desire. Your absence is not a problem. 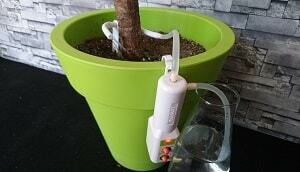 With a large enough bottle, Rigavit Automatic Plant Watering Device will water your plants for 4-6 months. 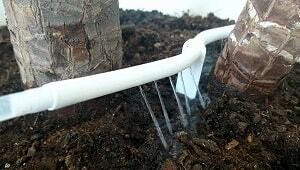 With 1 Rigavit Automatic Plant Watering Device you can irrigate up to 3 close pots.